The ideal time to protect and clean an untidy home is now. This upkeep includes knowing how to clean a dryer vent, an often overlooked task. After months of drying your fluffy towels and socks, it may be clogged with lint. A clogged vent can cause your dryer to operate inefficiently and use more energy, but a more serious consequence is a fire that could threaten your home and family. While your clothes are drying, moisture combines with lint and debris that accumulates throughout the dryer’s venting system. As the layers of lint grow, they impede airflow and cause the appliance to run hotter. If the heat ignites the lint buildup and causes a fire, you could face injury, extensive property damage, or worse. Dryer vent fires are one of the most common causes of house fires today; thousands of homes are affected every year. If you know how to clean a dryer vent, you can significantly reduce your risk. The following is a handy list to help you clean both the tubular vent that connects to the machine and the outdoor vent duct. Unplug your dryer from its power source. If you have a gas dryer, turn off the gas valve. Move your dryer as far from the wall as possible without harming the vent connection. Remove the vent clamp that connects the vent to the back of your dryer. Slide the vent out of its joint. Use a 4-inch dryer vent cleaning brush to remove all lint build-up inside the vent pipe from end to end (including the hole in the back of your dryer). Most lint accumulates at the end of a vent. If there is a clog in the middle, you may need to use a plumbing snake to remove the debris. Once removed, start again with the cleaning brush. Reconnect the vent, and move the dryer back into position. Find the dryer vent cover on the outside of your house. Remove the cover, and slide out the vent duct. Use your vent brush or vacuum to remove lint from inside the opening and the duct. Replace the exterior vent duct and cover. 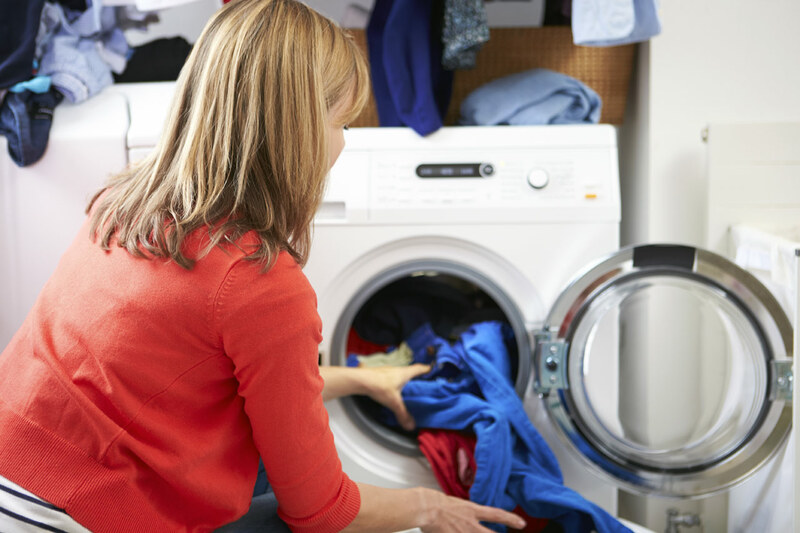 Reconnect your dryer to its power source, and run it for several minutes to ensure there are no airflow obstructions. Applying how to clean a dryer vent and cleaning your dryer vent at least once a year will minimize fire risk, extend the life of your dryer, and help your clothes dry faster. If your dryer overheats despite having a clear vent, have the appliance serviced by a professional. My dryer vent goes up through the roof! I know it must be clogged with lint! How do I clean that???? Any suggestions??? It’s essentially the same process. However, for the sake of your safety and if the vent is not easily accessible, please call a professional to clean it or show you the step-by-step process.